Time to talk chillies. This is the first in a series of Spice Stories I have planned for the blog championing the ingredients behind the sauces. I hope too for these to shed some light on the creative processes that happen in Fistful of Spice and to share some insights into life as a food artisan. Let’s start at the top with OMG Naga and a step into the realm of superhots. The Bhut Jolokia is known under a handful of names: as the ghost pepper, ghost chili and ghost jolokia. It is an interspecific hybrid chili pepper cultivated in the Northeast Indian states of Arunachal Pradesh, Assam, Nagaland and Manipur. By interspecific I mean that it is a hybrid of Capsicum chinense and Capsicum frutescens. This makes it closely related to the Naga Morich of Nagaland and Bangladesh. The Naga Morich is also known to others by its substrain - Dorset Naga. Anything scoring a million or more is officially classified as a superhot. For those that don’t already know - the Scoville scale is the official measure for chilli heat. 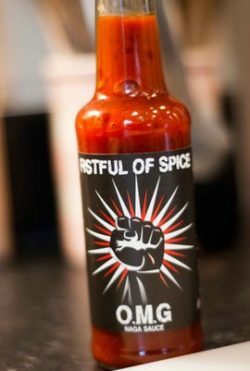 Certified as the world’s hottest pepper in 2007 it was later superseded by the Infinity Chilli in 2011, both the Naga Viper and the Trinidad Moruga Scorpion overtook in 2012, while the Carolina Reaper peaked in 2013 and remains the hottest to this day! How does this compare to other peppers? At just over a million SHU the naga is light years ahead in terms of heat. It is roughly five times hotter than your average habanero and a thousand times more potent than the ancho! 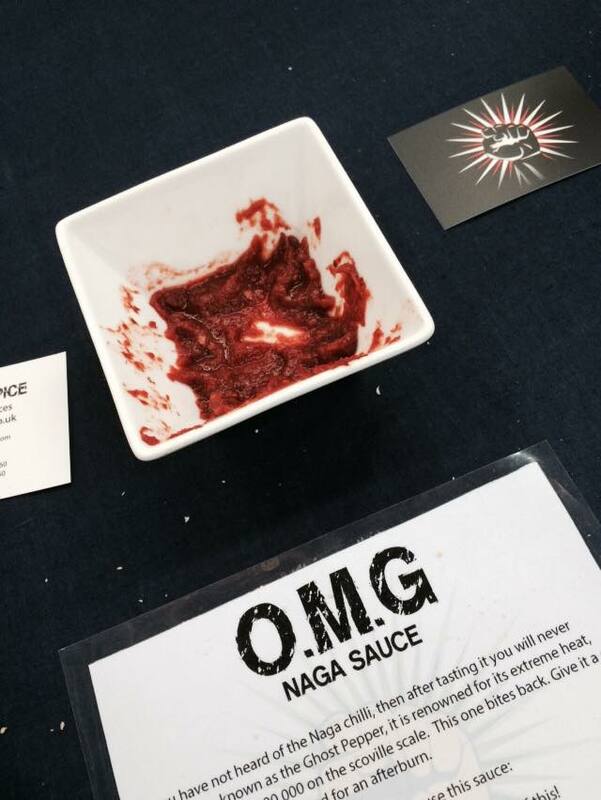 I love flavour at Fistful of Spice and was highly cautious at using the naga. Something that powerful needed equally robust flavours to complement it without being lost in the capsicain. So potent in fact the naga has even been weaponised into a grenade used for crowd control by the Indian army and as a deterrent on fences to keep wildlife at bay! 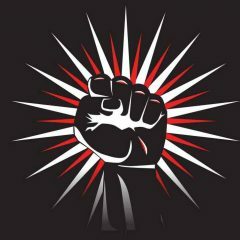 Not just in India but in the United States powdered Bhut Jolokia pepper is used to protect conservation grasslands from hungry rodents. It meant that rather than relying on a chemical solution that could contaminate the region there was a ready-made plant-based answer. 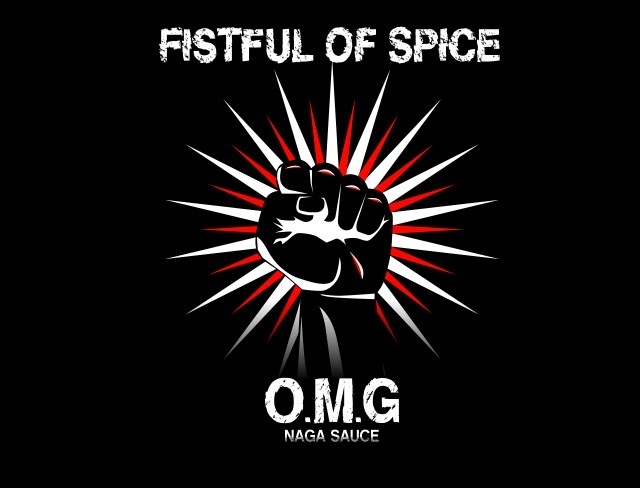 Flashback to 2014: Fistful of Spice hit the kitchen-lab-workshop to produce their own naga based sauce. Customer feedback was that something more potent was needed in the range. Having played with habanero we knew it was time to step it up. My partner in spice Chris & I took this fruity pepper and planned a recipe to partner it with sweet and sour ingredients. The first trial was potent from the get-go and that taste took my breath away! Hence: OMG Naga! Only snag was that bright red colour faded too soon into a murky brown. It was back to the drawing board for a way of challenging that red to stay but without the aid of colourants. We played around with many ideas and after an experiment with beetroot the perfect colour combination was found. I again volunteered my tastebuds for the test and the proof was in the tasting! We had the heat of the naga, the sweet acidity of pineapple, a zing of lime, and an underlying fruitiness from the beetroot. A full production run soon after meant that we had a batch to premiere at our favourite stomping grounds York House, Stony Stratford. Fast-forward to 2019: Dare I tempt fate and experiment with similar superhot varieties? Of course! I’m already researching the Red Savina habanero, Carolina Reaper, and Trinidad Scorpion so watch this space!